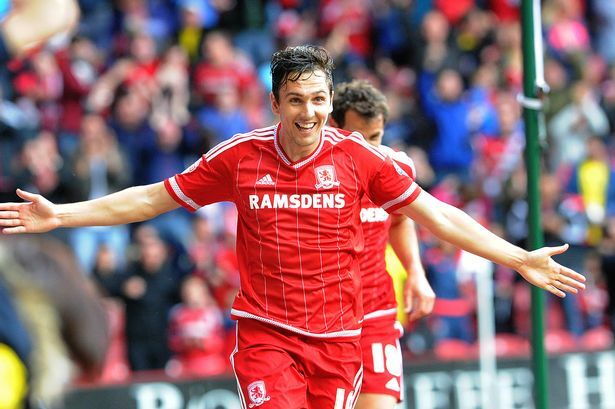 Stewart Downing Fan – Page 2 – Middlesbrough born and bred! Hull City’s hopes of beating relegation this term received a boost with the 4-2 victory over Middlesbrough on Wednesday. The win helped them climb out of the bottom three for the first time since they sunk in last October. It was three crucial points against fellow Premier League strugglers Middlesbrough. Spurs turn around against Swansea makes the win much more memorable as the Marco Silva-led side go two points ahead. At the age of 32, Stewart Downing is a player that is reaching the final years of his professional career and it’s extremely important for him to spend this time in a club where he can consistently perform but unfortunately for the English midfielder, he has had to spend a long period of time on the sidelines as a substitute player as the head coach of MiddlesbroughAitorKaranka is giving more playing time to other players of the team while Downing has recently been dropped to the bench. 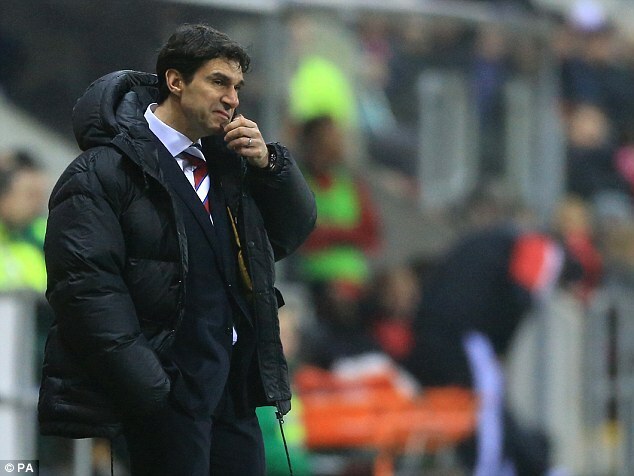 Stewart Downing has struggled to hold a shirt under manager Aitor Karanka. The manager revealed that when the player knocked on his door regarding his lack of action, he made the player sit and watch replays of his errors that caused the team. Middlesbrough seem to have slightly improved after switching to the 4-3-3 formation without Downing. Downing has been ignored in the last four games after his ten starts in 11 games this term. The player has been on the bench in recent matches, including the 1-0 loss to Southampton over the weekend. Stewart Downing is a 32 year old player that has gone through many English clubs including: Sunderland, Aston Villa, Liverpool and West Ham United. Despite that he has performed in some of the more prominent and well-known clubs in England such as: Liverpool, it’s with Middlesbrough where his career started and where it’s more meaningful for him to perform in. It was back in September of 2001 where Downing managed to sign his first professional contract as he became an official player of Middlesbrough and from there on out he managed to make over 170 appearances for the club before eventually making a move to Aston Villa. Former Middlesbrough goalkeeper Mark Schwarzer says that his former club are likely to rely upon the creative skills of Stewart Downing in order to get them through in the Premier League campaign. After being promoted back to the top division after more than five years in the Championship, Middlesbrough will want to retain themselves as one of the top 20 clubs in England at all costs. It was the reason behind bringing in Downing back to the Riverside stadium last season. It indeed proved to be a great decision as the England international was instrumental in getting the club back to the top division. Stewart Downing’s initial years as a football player kicked off with Middlesbrough as this was the club where the English performer made his debut in the Premier League and this occurred back in April of 2002. 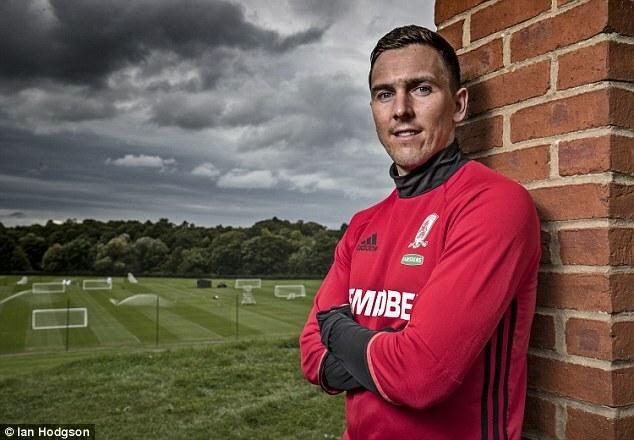 After making over 180 appearances with Middlesbrough, Downing opted to join a different club as he went on to make a move to Sunderland on a loan deal before eventually signing a permanent deal with Aston Villa. From there on out, Downing went on to perform with Liverpool and West Ham United as the English player made his way through various clubs but the experienced performer has made his return to Middlesbrough. Aitor Karanka says working alongside Jose Mourinho in Spain; he understood that straightforwardness is very important when you are coaching a team. Karanka moved from Spain to England with Mourinho in 2013, but, the two joined different clubs. While, Karanka landed his first management job at the senior level at Middlesbrough, Mourinho renewed his association with his former employers at Chelsea. As per Karanka, he saw Mourinho always be honest with the players without worrying if somebody was getting offended by his straightforwardness and he liked that quality. This year, Karanka would be in direct competition with Mourinho for the first time as his team is in Premiership now. Former English player Chris Waddle has stated that Sheffield Wednesday should make some serious recruitment during the summer if they are serious about being promoted. He said that they need experienced players in the team and that they should follow the example of Middlesbrough. Just as Sheffield Wednesday, Boro was beaten in the play-offs last year and instead of letting themselves down, they made some brave decisions by signing important players such as Stewart Downing. Waddle believes that Sheffield Wednesday should do the same if they want to earn promotion next season. Aitor Karanka made no attempts of hiding his displeasure after the dismissal of one of the goals scored by his side yesterday which saw the Blues holding Middlesbrough on a draw. 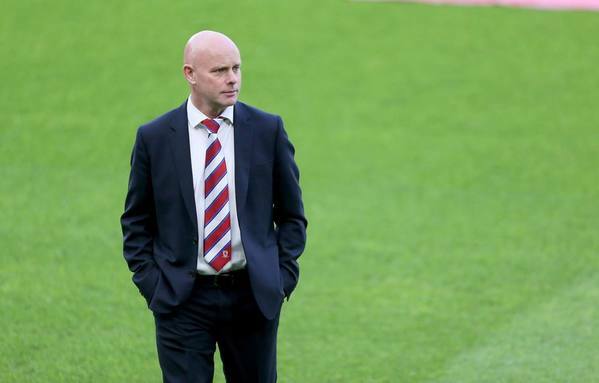 An absolutely furious Boro boss refused to accept that it was one of the general errors made in the on-field calling. According to Karanka, he would have taken it just as a mistake if it had been the only case of his team having to suffer such a decision. But, because such cases have been quite frequent in the recent past and at the same time, the other frontrunners in the Championship have been having a slightly softer route; he is forced to believe that the perspective of the match officials regarding Middlesbrough is different. Stewart Downing has dismissed the idea of Middlesbrough throwing away the Championship title with some undesirable poor form towards the business end of the campaign. There are only eight matches left for the top teams in the Championship. However, just two victories in five league outings means that Middlesbrough have dropped six points behind leaders Burnley at this crucial stage. Even though it still places them second in the table and with an automatic promotion spot to the Premier League, there is an air of disappointment after having dominated the campaign for so long.